Swami Chinmayananda was a world-renowned spiritual Master of the 20th century, and one of the most revered exponents of Vedanta – the foundation of Hindu religion and culture. His life was one of extraordinary spiritual strength, immeasurable love and tireless service. An atheist in his young days, full of questions and brimming with curiosity, Balakrishnan Menon was a patriotic journalist of National Herald. Curious to know the life and ways of ascetics, he set out for the ashram of Swami Sivananda in Rishikesh. Thus began a journey leading to his own spiritual evolution. 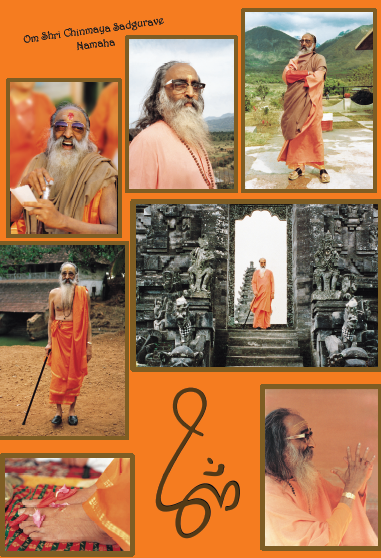 Choosing to become a renunciate, Menon was initiated into sannyasa, and given the name Swami Chinmayananda Saraswati. Spiritually awakened by Swami Tapovanam’s tutelage, and inspired by mother Ganga’s continuous flow of purity, Swami Chinmayananda sought his Guru’s blessings to spread the scriptural knowledge to the common masses. As he journeyed from the mountains to the plains, the seeds were sown for the birth of Chinmaya Mission. An outstanding orator, known for his wit, humour and modern outlook, Swami Chinmayananda inspired and enlightened those who came to hear his talks. An unparalleled writer, he wrote commentaries on Bhagavad-gita and the Upanishads, and authored inspirational titles on spiritual unfoldment. A missionary with a holistic vision, he established schools and colleges, built temples and ashrams, instituted a monastic order, and left a legacy of immense strength, boundless love, tireless service, and immeasurable reach. During his forty two years of travelling and teaching, Swamiji created a vast legacy – a global organization committed to Vedanta and also started numerous educational institutions and social service projects. Reinvigorating India’s rich cultural heritage, Swami Chinmayananda – popularly known as Gurudev among devotees; made Vedanta accessible to everybody regardless of age, nationality, or religion. 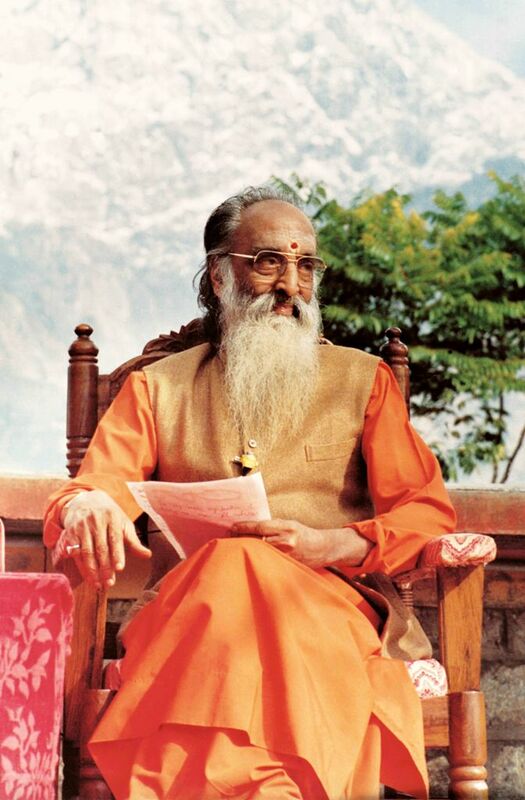 On 3 August 1993, in San Diego, USA, Swami Chinmayananda attained Mahasamadhi. Pujya Gurudev left an indelible mark in the hearts and minds of people, and his footprints in the multifarious service projects he inspired in the Mission. He lives on in the priceless publications of Chinmaya Mission and in the hearts of millions as a saint and teacher extraordinaire. A Saint. A Teacher. A Visionary. That’s Pujya Gurudev Swami Chinmayananda in a nutshell. For decades, he traversed the globe teaching, inspiring and liberating the masses by taking recourse to the Indian Scriptural Wisdom. 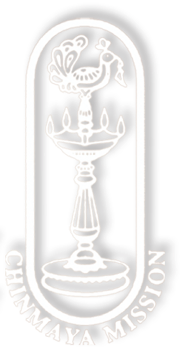 Even today, this lamp of knowledge lit by him shines forth through the activities of the Chinmaya Mission. To celebrate and commemorate the birth centenary of this great saint, Chinmaya Mission is hosting a yearlong series of events and programs from May 2015 to August 2016 (the centenary year) throughout India and across the Globe. Various activities are being conducted across the globe, initiated by every Chinmaya Mission centre / local branch, to strengthen the Mission and to reach out to the common masses and transforming lives. As a remarkable recognition of Swami Chinmayananda’s yeoman service to mankind, the Prime Minister of India Shri Narendra Modi released two coins – a commemorative 100 rupees coin to symbolize the centenary celebrations, and a 10 rupees coin which will soon be in circulation. In his speech, PM Shri Narendra Modi showered huge accolades on the contributions of Swami Chinmayananda and recollected his personal experiences with Pujya Gurudev and how he was inspired by the great Master.